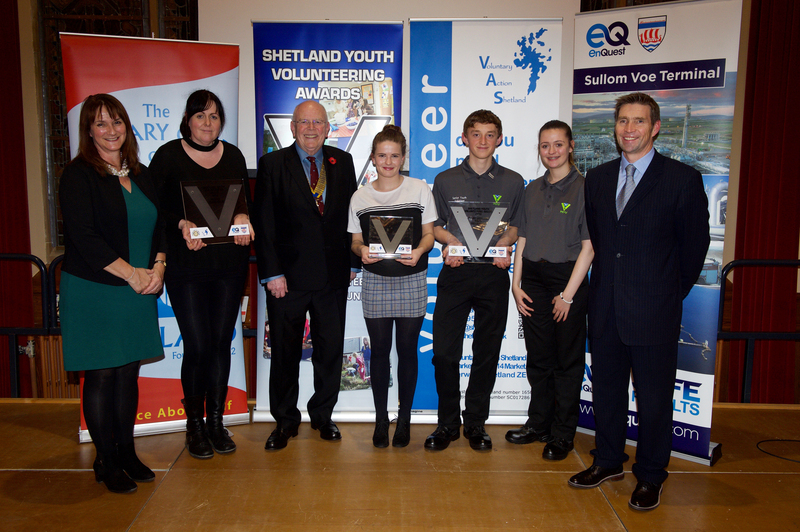 SHETLAND’s community of young volunteers was celebrated earlier this week at the ninth annual youth volunteering awards. Filsket Riding Club picked up the organisation award, while Police Scotland Youth Volunteers won the ‘one team’ prize. Rona Brookes, a volunteer with a variety of groups and organisations in Unst including Disability Shetland’s Unst Saturday Club and the Baltasound Junior High School, was recognised in the individual category. A total of 24 organisations, teams of volunteers and individuals were nominated for the three awards, which were dished out at the Lerwick Town Hall on Tuesday. Also up for the organisation award were Police Scotland Youth Volunteers, Shetland Amateur Competitive Swimming Club, Sandwick Duke of Edinburgh and the Walter and Joan Gray Home. The other nominees in the one team category included Filsket Riding Club volunteers, Shetland Young Promoters Group and the Unst Children’s Disability Club volunteers. Rona Brookes, meanwhile, was joined by Oriana Grains, Sarah Hazell and Carla Tait in the individual section. The event was hosted by Voluntary Action Shetland and sponsorship came in from EnQuest Sullom Voe and the Rotary Club of Shetland. Youth volunteering development worker Neil Pearson said the awards ceremony continues to go from “strength to strength”. “My heartfelt thanks go out to anyone and everyone who has helped in any way this year to make this such a hugely successful event,” he added. Voluntary Action Shetland executive officer Catherine Hughson said: “Volunteers are the life blood for many community activities and we can be proud of all their achievements.